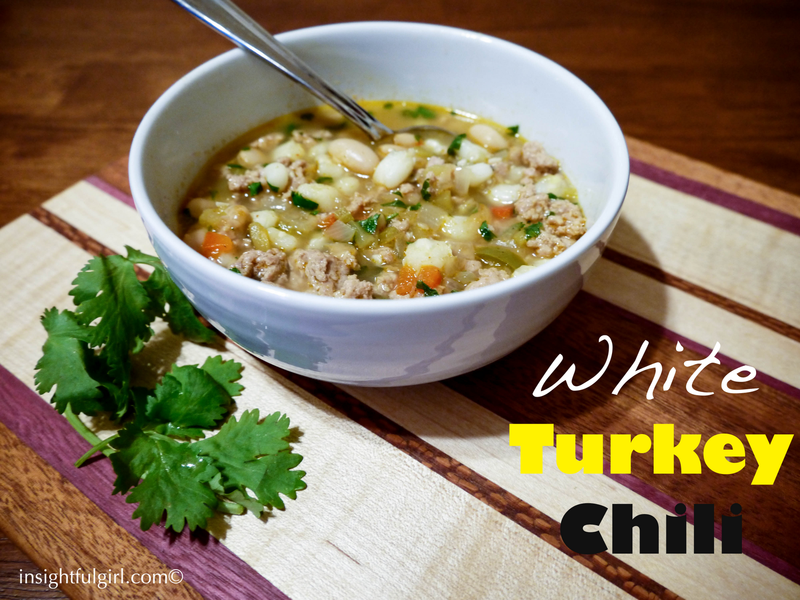 This white turkey chili is a great, tasty alternative to the traditional red chili. If your looking for something warm to cook on that cold winter night, look no further. By using green chili, jalapenos, cumin and chili powder, this chili is packed with delicious flavors. This dish has a unique taste that even the pickiest eater will enjoy. You can spice this dish to your own taste, by adding more jalapenos or even a little hot sauce to your own bowl. I served it with baked tortilla chips, but it would be out of this world to dip homemade tortillas in. This is one of my husband’s favorite meals. It is actually what he requested for his birthday this year. So, therefore; I am adding it to hubbies favorites. This will be a new category, for my blog. 1. Melt the margarine in a large pot over medium-high heat. Add onion, celery, red bell pepper, jalapeno and garlic, sauté 5 minutes. 2. Add cooked turkey, 1 1/2 cups beans, broth, green chilies, hominy, cumin, chili powder, salt and pepper. Bring to a boil. Cover, reduce heat and simmer 15 minutes. 3. Mash remaining beans with a fork. Add mashed beans and milk to the turkey mixture. Simmer uncovered, 20 minutes or until mixture becomes slightly thickened, stirring frequently. 4. Remove from heat and stir in chopped cilantro. 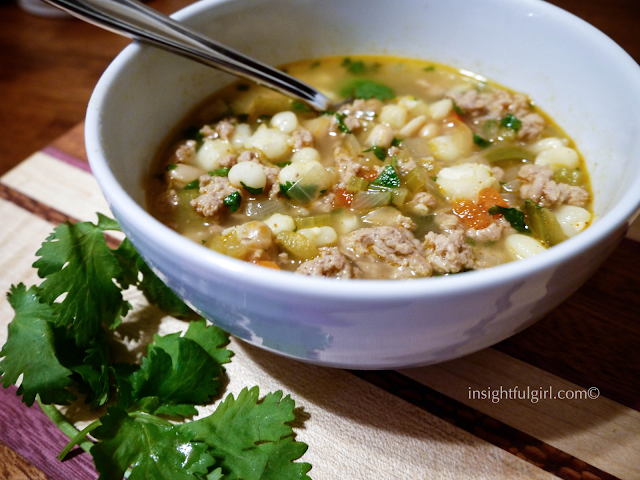 This entry was posted in Healthy, Hubbies Favorites, Main Dish, Mexican, Soup on November 27, 2012 by Genoa11. I love this recipe so much! It is definitely my new favorite go-to chile recipe. I have made it twice now and have had nothing but rave reviews from my family each time! Thank you for such a fresh, healthy alternative to every-day red chili! This one is a keeper for sure! So glad you all enjoy it. It is one of my favorites. I’m going to make this tonight! This will be perfect for this snowy, cold winter day!